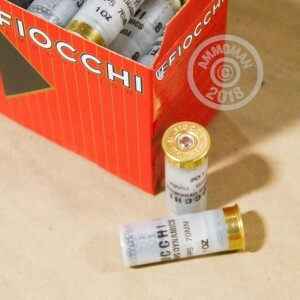 Take this case of 12 gauge Fiocchi shotshells on your next clay shooting or bird hunting trip. These inexpensive, low-recoiling shells are perfect for a long afternoon of blasting away. 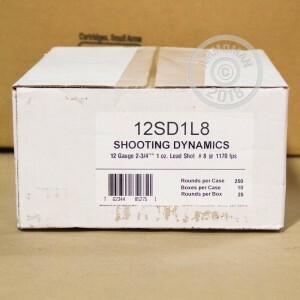 Each 2-3/4" shell fires an ounce of #8 birdshot at a muzzle velocity of 1,170 feet per second. 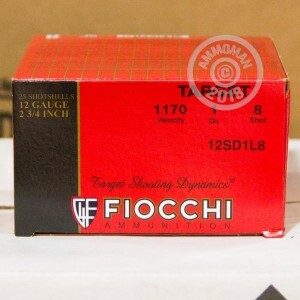 Fiocchi shotshells sold in the US are typically loaded in Ozark, Missouri, although during periods of high demand some may also be imported from the company's worldwide headquarters In italy. Grab this case or any items totaling $99 or more from AmmoMan.com to qualify for free shipping!